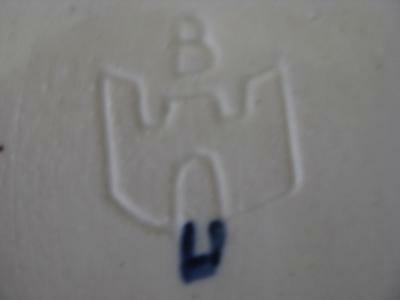 Pottery Mark Query - Incised B, incised symbol, blue W (? ):- I bought this lovely teapot a couple of years ago at a local thrift store. The incised B could be from several different manufacturers, but I cannot find the incised symbol anywhere in my many searches. The blue mark under glaze looks like the letter W or U.
I thought this might be a Worcester teapot but the incised symbol has me completely stumped. I would appreciate any information you might have regarding this teapot. 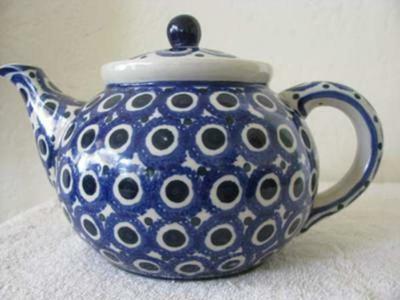 The teapot is in a beautiful blue color, the circles appear to be a very dark green with a circle of dark blue in them. Thank you so much for your time and effort. p.s.-- The right side of the symbol looks the same as the left in reality. This MARK HAS BEEN IDENTIFIED ELSEWHERE ON THIS SITE AS the Boleslawiec factory now based in Poland, previously known as a region called Silesia. Thanks for your interesting query, I really appreciate the time and trouble you took to join in and upload your great photos. First thing to say is what a great looking teapot. It looks very interesting and I too would like to know who to attribute this rather odd and ugly mark to. Nice teapot, horrible mark. It is definitely an obscure mark - I have looked it up in my collection of various reference books and none of them show anything like this mark. I looked under W, under V, under, B, under Castles and buildings, under miscellaneous etc etc etc. Not a sausage. 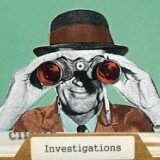 Let's hope we have someone in the know look at this page and tell us. I hope this helps you with your very nice item. I don't know if you are still looking, but the mark is for Boleslawiec, in Poland. It's an earlier mark for the popular Polish Pottery. A Friend to the site. Many thanks to the friend who solved this pottery mark mystery. Another great result for the pottery marks 'Public Forum' (where we all help each other out). I looked up the maker responsible for this B mark with a castle device or 'W' and found quite an interesting and well regarded history. Silesia (a famous region for pottery and china wares) is the region Boleslawiec pottery comes from - and the name itself is apparently not attributed to one maker but to the collective efforts of the region generally, stemming from the 1600's. 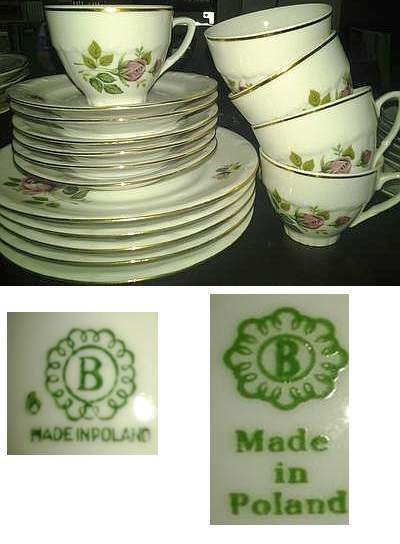 Also a group calling themselves the 'Boleslawiec Artistic Ceramic' exports much of its work and this is the group which identifies itself with the castle device with 'B' above it on works made prior to 1996. Work after 1996 has the letter 'B' above the castle enclosed in a teapot. Apparently, all authentic Boleslawiec pottery should have 'Hand made in Poland' on the base, so I don't know where that leaves our mark?? What I understood was, the clay deposits being of high quality, the classy stuff with a Boleslawiec B mark is quite collected, although tends to be sturdy and utilitarian in nature rather than fine and fancy. In 'type' the clay is classified as semi-vitreous stoneware - hard wearing but needing glaze for water-tightness. Apparently there has been quite a surge of interest in the US lately, which takes me back to my page on how to value your wares - the good experts always take into account changes in fashion like this. Eastern Europe has a century old tradition of fine pottery and ceramics - Silesia being one of the cultural centers for this. So this is where Boleslawiec pottery fits in. The town is also known as Miasto Ceramiki (Town of ceramics) and they identify themselves with ceramics. 1380 is the earliest written record of pottery, although there is emerging evidence to show pre-historic pottery in the region. Much of the fine potting tradition was wiped out during WW2, but since then much effort has been put in to restoring the regions ceramic industry - again taking the from of co-operative groups. I have gotten this coffee set from my grandmother when I was little. She has bought it little by little from somewhere, but I never heard the story behind the dishes before she died (at least not that I remember). No-one in my family remembers where they are from. I'd like to know the origins. They are probably from the 70's or early 80's. Or not that old. I moved your nice submission to this Boleslawiec pottery marks thread because I am guessing this mark is simply one of their variations - used latter part of 20th century. Well, since I've retired as a court reporter and don't let anyone tell you retiring is great because it isn't. I'm bored to death. So after pulling out boxes of my grandmother's items that I've had in my attic for years, I decided to start finding out what her items background were. 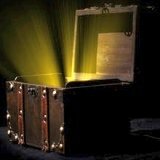 I want to have a yard sale, but I don't want to put out anything of value. Once I know what type it is i can do some "googling" on my own. So the particular vase i'm speaking about has predominantly blue flowers with yellow/gold. It's a very pretty vase and i believe it's porcelain, but again i'm not sure. It's shiny. That's all i can say. But it's the writings at the bottom that i can't make out because it's in a different language. I think it might be German or Dutch because one word has the double (ii) so i think that's German. The insignia looks like the Fluer de France and a leaf on either side. Can someone please assist me with this? So this is the first piece i'm curious about. I have enlarged and sharpened your mark photo as best I can and it seems to say Boleslawiec maybe? Although there don't seem to be enough letters - but sometimes those rubber ink stamps can slip on application - which seems to have happened here as its all a bit squiffy. Anyway, it's plain to me it says made in Poland, but not sure what the word is beneath beginning with D? I have moved your post here because this is where the people who know about Polish pottery hang out. I don't know of any other Polish pottery name and could find only Boleslawiec when I googled Polish pottery. p.s. Forgot to say about the vase itself. I really love this vase. It is from an area where the natural clay is of very high stoneware quality. 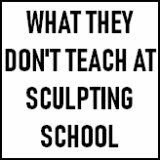 The local pottery tradition goes back at least to the 13th century, probably earlier. It is hand painted in a lovely local folk art style, made with love and art, not made for mass-production and profit. If it is Boleslawiec it is both collectible, and currently on trend (folk art - non mass-produced - quirky - fashionable). If it isn't Boleslawiec, then wow, what a rarity on top of everything else. Don't give this away for pennies in a yard sale. Your vase is not from Bolesławiec but from other fabric in Włocławek. "Zjednoczone Zakłady Ceramiki Stołowej"